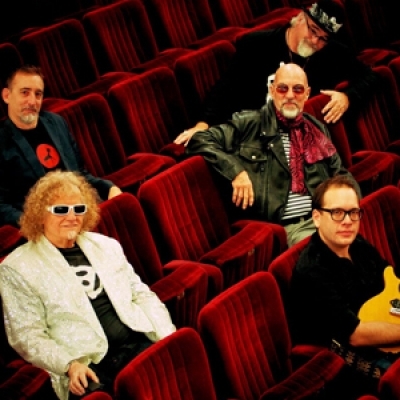 Yes, prepare to be booglarized again … the guys are back in the UK for another tour. For more information on most of the above, book tickets and get alerted to any further shows added to the tour go to the Ents24.com or Songkick websites. Great news! You guys are always welcome in the UK, looking forward to seeing you again. Really looking forward to the Bristol gig. Absolutely blew me away at The Phoenix in Exeter earlier this year. Great news, got my ticket for Bristol, sadly it’s two years today since we lost the Good Captain, Love over Gold!! You missed out the Glasgow Arches gig on the 9th!Saturday night with The Magic Band, woohoo indeed!!! The Edinburgh gig will be their first time back here since an incredible gig on 24 January 2004. What did we do wrong guys? You guys have an impossible task of matching what you did at Robin 2 last year. But I’m going anyway ! So did anyone else see them in Brighton? Some of you may have seen my effusive tweets after the show – it was HUGELY enjoyable and ranks among my best ever gigs having grinned broadly throughout, wishing it could never end. I recall having a similar response last time I saw them at this same venue several years ago but this time was even better. We arrived minutes after the band took to the stage, just in time to miss a false start, the only apparent mistake of the evening. They played for about 50 minutes, then had a short break, then played for another 50 minutes or so. The first set was great fun, the second set was sheer joy from beginning to end. Rockette Morton’s bass solo, I Ain’t Superstitious, On Tomorrow, Hair Pie Bake 2, Hair Pie Bake 1, Moonlight On Vermont, Suction Prints, Click Clack, Gimme Dat Harp Boy, Owed T’Alex, Big Eyed Beans From Venus, Circumstances, Steal Softly Thru Snow, Peon, Hot Head, Her Eyes Are A Blue Million Miles, Golden Birdies, Alice In Blunderland. I’m now riddled with doubt about my memory. I look at that list and am sure we heard more from Decals and Trout Mask and am suddenly unsure whether it really was Peon that Eric Klerks played so beautifully. It was a great set list – old favourites and many unexpected surprises too – oddly it’s most of the surprises that I’m struggling to recall now. Any band would have to be brave to follow Hair Pie Bake 2 with Hair Pie Bake 1 but that’s exactly what they did and we lapped it up. John French is full of surprises; not only does he drum, sing and play harmonica so very well but now we can add sax to the list too; a magnificent addition. Sadly I didn’t get to embarrass myself by drunkenly telling any band members just how wonderful it all was, but it really was very wonderful. There was such a sense of fun on stage, lots of good natured chat, jokes, instrument swapping, different members sitting out for occasional numbers and no sense of ego nor of any loss of vitality over the 10 years since the first reunion shows – I seriously think there’s *more* vitality now. Eric Klerks in particular was clearly loving every single minute of it, grinning almost as much as me. He and drummer Craig Bunch fitted in *perfectly*. There was a strict curfew at the end so no encore but the crowd stayed shouting / begging for more for a long time after the band left the stage. It’s good to leave wanting more, clutching t-shirt and poster. Graham, haven’t heard any boots yet but it was most probably Flavor Bud rather than Peon (how wonderful would that be? )as he played that everywhere else. It’s been a week now, since my last gig and I’m still on a high! A superb friday evening at the Concorde; as you say, great atmosphere and set list. My recall is a little hazy but that may well have been the ‘slow’ version of Flavour Bud Living that Eric Klerks played so deftly…was there also some Hobo-ism in the set too? May be the imaginings of my friday night brain however. Daft curfew did little to interrupt my sparkly eyed euphoria; thanks guys, for doing what you do. Saw you last night at the Robin in Bilston – stunning! Unbelievably talented bunch of musicians – Drumbo you rock on harmonica and when you sing you have such soul! You took the blues and turned it inside out into a whole new form – incredible! Loved it – for the folks reading this here in the UK – go and see this band – they are the greatest band ever! Thank you so much for a great night! I wrote in January doubting they could match last year at the Robin, crikey I was wrong. Astounding is one word, brilliant another. I’m still buzzing now! Come back soon, pleasse !!! Come to Cork will ya? Colchester 2nd March fantastic. Took a few Magic Band newcomers who left as converts. What a class act they are – off to under the bridge for last show…. Now we’re near the end of the tour, can some folkss have a go at putting up some setlists ? We normally do a bit better than this ! No Hair Pie Bake 2 at York, Steve? No, no Bake 2 … I was waiting for it as I knew they’d played it before … no Electricity either! Yeah, at Glasgow, due to the looming curfew, they pulled the plug on Electricity (pun completely intentional) having actually started the vamp at the beginning. Very frustrating! Come back to Liverpool again boys – wonderful gig at Eric’s !! visit where ? got a link ? I’m having an argument with m’self (they’re the best sort, you can’t lose!). Was Owed T’Alex a tour debut? I thought so, however others sites suggest it might have first surfaced back in 2009! Thanks very much for those setlists. Will now cross check them with my friends and see what light that sheds on the Bristol setlist. York gig great as usual. Thanks lads. You should not be allowed to leave the U.K., you should be playing here all the time. What a great gig at the Cluny ! Made this old bozo so happy . Thanks for putting it on Chris, more please. Was at The Arches, Glasgow. Despite the venue pulling the plug early, was a great gig, fannatastic atmosphere. 3rd time I’ve seen yoos at The Arches, last time was lucky enough to meet the guys backstage, got some great fotos. Was at Bickershaw Festival, 1972, was a Magic time all the time. This latest incarnation is exciting and tight, hope you feel like keeping this wonderful, low down music going for a while yet, come back and enchant us all once again. And NOW, Denny Wally’s touring w/ The Zappa tribute band :”PROJECT OBJECT’, here in the U.S., and then off to Europe, w/ 5 or Frank’s original band members !GO TO THE SHOW! Look up Project object.com for more and for play dates and venues. Can’t beleive I missed this. Any plans for 2014 in the UK? Have seen the Magic Band twice at the Arches. This time I didn’t even know they were coming until they had been and gone. I’m still crying myself to sleep every night. Somebody wants to get the publicity machine up and running as I’m sure the band could do bigger venues with better promotion.